Khan Academy is a comprehensive iOS app that allows ALL students age 6+ to learn almost anything free. 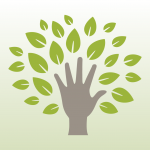 The app has a growing library of over 4,200 educational videos and articles. Topics include K-12 math, science, humanities, history, civics and finance. The Khan Academy app provides access to all the videos, articles to read, the ability to track progress, download videos to watch offline and subtitles. Along with the Khan Academy app, we highly suggest users create an online Khan Academy account and engage in the knowledge map. About my day is a great free app for tracking and determining an appropriate plan for individuals with special needs. This app is designed to replace paper journals that are often carried in a binder by the individual as a means of sharing information among family and support workers who work with that person. 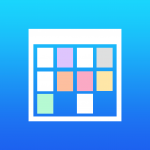 The app is customized to the individual, with a daily calendar, notes of the day, ability to upload a picture of the author within the notes section, location upload, and note saving. The app also includes mood tracking within the notes, which is great for behavior and social skills tracking. 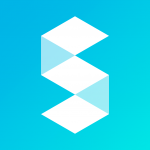 Storehouse – Visual Storytelling is a mobile app that touts the collage-like functionality of Pinterest with the social media popularity of Facebook. Geared towards young adults, this app is ideal for the teenage population. Users capture their ‘stories’ by combining photos, text, videos etc. into professional looking montages that can then be shared online with other Storehouse members. Mr. 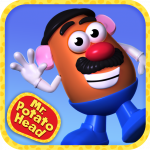 Potato Head Create & Play is an app for helping children complete daily routines and tasks, understanding and controlling feelings and to improve their patience. 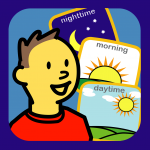 Caregivers, teachers, and therapists use this app with students diagnosed with autism (verbal and non-verbal), ADD, and other learning disabilities to keep them on task and motivated. The Choiceworks app is high quality, user friendly and students trialed enjoyed using it. 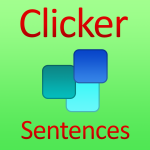 Clicker Sentences is an app that develops writing skills specifically in young students and students that are struggling writers. 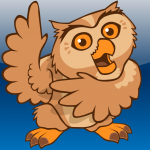 The app is a proven literacy support tool made specifically for the iPad and created with the users in mind. It is easy to create on and it provides a platform for writers to gain both skills and confidence as they move forward. The ability to fully customize, differentiate, and easily create lessons as simple or detailed as you need makes this app an excellent resource for teachers. This app is highly recommended for ELL students. Chain Of Thought – the free association word chain game is a game of word association for teens and adults. The app has three levels of play Easy, Medium and Difficult. The option is available for solo play, pass’n play and online play. At BridgingApps, we use this game with high school students as a pass’n play game to increase socialization. 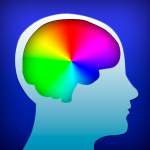 Students who have the ability to problem solve and inference benefit from this app. 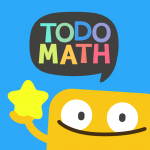 Todo Math : Kindergarten to 2nd Grade Math Games for Daily Practice is a wonderfully easy-to-use app designed for K-2nd grade. It uses visuals, auditory prompts and purposeful touch. Even though the app is geared towards K-2nd grade, we have used the app with high school students who are developmentally on a K-2 level as it differentiates skills in a way that worksheets cannot. Tom Taps Speak is a communication app to help children with speech disorders. The app displays a colorful and easy-to-use layout to motivate communication. This is a simplistic app with a good foundation of words to help non-verbal students communicate. 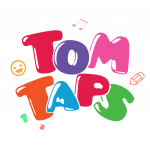 If you need an Augmentative and Alternative Communication app and cannot afford to purchase the more expensive AAC apps, Tom Taps Speak is a great free alternative. Proloquo2Go Proloquo2Go is a full featured augmentative communication application (AAC) that offers picture only, picture and text, and keyboard options for message formulation. The voices available are a more natural sounding male, female adult or child. The keyboard and picture/text grids can be used for novel sentence building. The images on the buttons are SymbolStix, although the user is able to use real pictures and some pictures are a more life-like cartoon drawing.